The way companies communicate with their customers, vendors, partners and employees has changed over the years. 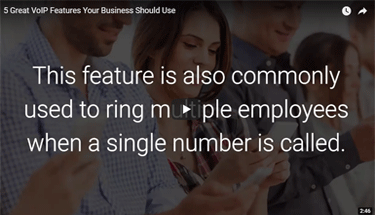 Today, you need more than just a traditional phone at your desk—you need features and options that make it easy to connect with your business from anywhere. A hosted PBX system helps businesses of any size or industry stay ahead of the curve when it comes to their communications needs. Hosted PBX is an IP-based solution that is provisioned and accessed via the Internet, making it easy to set up and maintain. With a hosted phone system, there isn’t a large capital investment because there’s little equipment to be purchased. 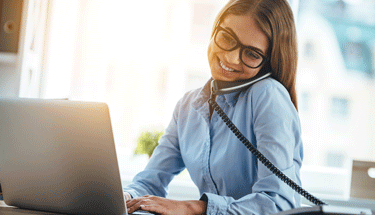 Your entire phone system runs off the same connection as your internet service, making the transition to your hosted solution seamless and cost-effective. Your business is changing year-after-year, so having a phone system that scales easily is not only more convenient but also good for the bottom line—you only pay for what you need. You can customize your phones to best suit how you do business, and since everything can be accessed and managed via the cloud, you can simply login to your web portal to adjust features and devices as you need. In the age of the internet, business is no longer confined to just one location. Mobility is a key feature of a hosted PBX solution. An integrated system gives your employees the freedom to do business away from their desks, using any device they choose, such as their mobile phone, tablet or laptop. A temporary shutdown due to a power outage or other disaster (such as a fire or flood) doesn’t mean your business has to shut down too. Hosted PBX ensures uninterrupted service since your hardware and data are stored off-site. Calls can be quickly rerouted to other phones so you can continue doing business, even if your offices are damaged. HPBX systems are managed by your service provider, so your team doesn’t have to worry about phone maintenance or upgrades. Your time and resources are better spent focused on your core business rather than on your phone system. With consumer demands and business environments changing, you want to make sure your phones can keep up. A hosted PBX system offers the functionality, features and flexibility a business often needs to be successful. Want to learn more about Hosted PBX? Visit arvigbusiness.com/phone/hostedpbx or contact Arvig at 888.992.7844.